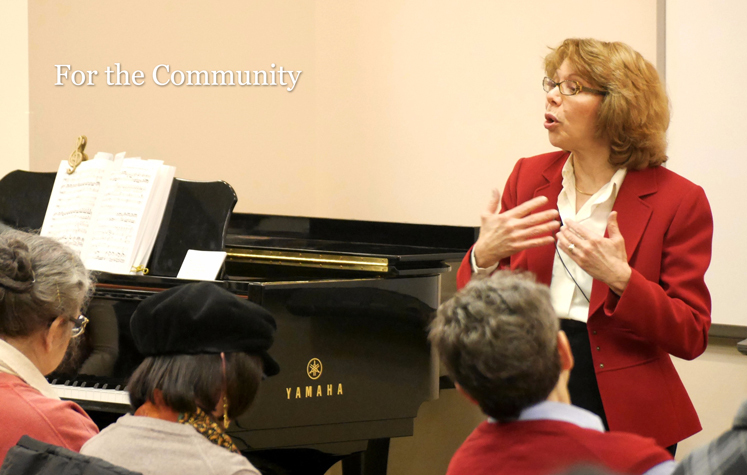 Through intensive workshops, pre-performance talks, and community outreach programs, the Guild deepens the knowledge of adults, from first-time operagoers to the life-long fan who can hum along with every note in the score. Lectures, workshops, publications and programs go from the basics of opera to in-depth, behind-the-scenes visits with the stars of the Metropolitan Opera Company, providing a unique curricula and a multitude of learning opportunities. Click here to download the 2018-19 Lectures and Community Engagement Brochure as a PDF. Click below to view the 2018-19 Lectures and Community Engagement Brochure in your browser. See the variety of engaging events coming up this season. Go behind the scenes for an exclusive look at what it takes to make onstage magic at the Met!